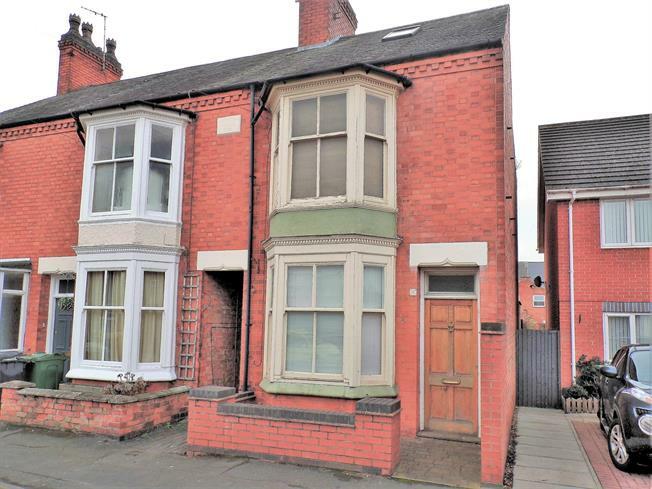 2 Bedroom End of Terrace House For Sale in Leicester for Asking Price £170,000. This is an appealing end terrace property in the centre of Syston that has had a fantastic loft room added by the current owner to creating additional living space. The property is an excellent buy for those wishing to upgrade a property to suit their style. The traditional layout comprises of lounge, dining room, kitchen, two bedrooms, bathroom and a loft room. Other features to consider are modern combination boiler, fitted kitchen appliances, original sash windows, fitted wardrobes, built in storage and original flooring in some rooms. Externally the rear garden is laid to lawn with a block paved seating area and two outdoor stores. Perfect first time buy or buy to let rental property that would would be expected to achieve in excess of 600 pcm. Local town amenities are within walking distance including shops, supermarkets, schools, places of entertainment and train station.